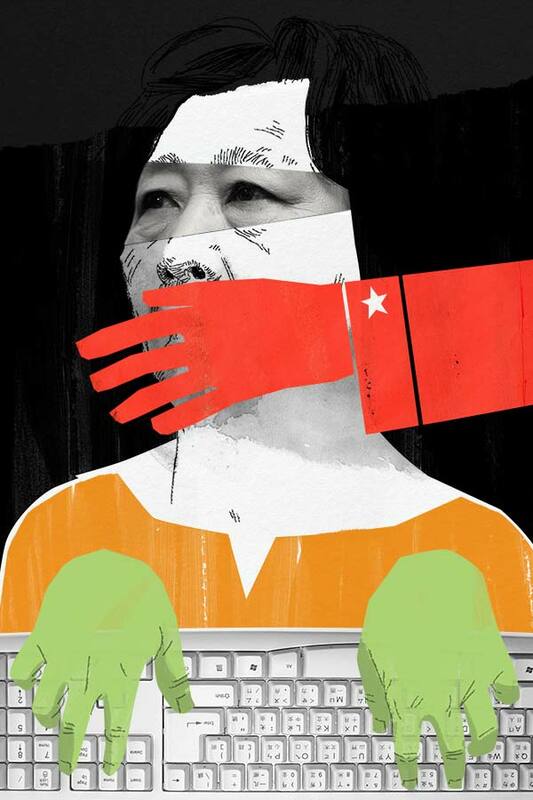 Gao Yu (China) — Women struggling for human rights"
Gao Yu is a veteran journalist in China who has been repeatedly imprisoned but never silenced. THROUGHOUT HER LONG CAREER as a reporter and an independent columnist, Gao Yu, 70, has borne witness to China's recent extraordinary rise, achievements and faults included. Accepting an international award ceremony, she once quoted another Chinese journalist, Shi Liangcai as saying, “‘You have a gun. I have a pen!” “History has given me the choice of a pen,” she added during her acceptance speech for a Courage in Journalism Award in 2006. Gao’s career began the year that her country made a 180-degree turn toward a market economy. In 1979, as then-leader Deng Xiaoping launched economic reforms, she became a reporter for the state-owned news agency China News Service. Working for the official media gave her access to the power elites in China, an asset that she draws on to this day. Barely 10 years later she joined a liberal publication, the Economics Weekly, as deputy chief editor. She also freelanced for other media outlets, some of them in Hong Kong. In April 1989, as the Tiananmen democracy movement gathered momentum, the Economics Weekly began running a series of reports on the protests, urging the government and the demonstrators to resolve the standoff through compromise. As deputy chief editor of Economics Weekly, Gao Yu penned an article titled “Dialogue between Yan Jiaqi and Wen Yuankai on the Current Situation.” The authorities considered the article an attempt to promote “bourgeois liberalization” and ordered the closure of the publication. On the morning of June 3, Gao Yu was arrested on her way to work. She was released 15 months later because of poor health, including a history of heart problems. But none of this has deterred her from using her pen again. In October 1993, as she was about to take up a one-year fellowship at Columbia University in New York, she was arrested again. This time, she was sentenced to six years in jail after being accused of publishing “state secrets”—ironically in a pro-Chinese government newspaper in Hong Kong. Gao Yu has always denied that the published information, including a speech by then President Jiang Zemin, involved state secrets. In February 1999, eight months before the end of this second sentence, she was given parole, again because of poor health. By then, the world was paying attention. She was honored with a 1995 Golden Pen of Freedom and a 1999 UNESCO/Guillermo Cano World Press Freedom Prize. In 2000 she was named one of International Press Institute’s 50 World Press Freedom Heroes of the 20th century. And then, in 2006, she received a Courage in Journalism Award from the International Women's Media Foundation. 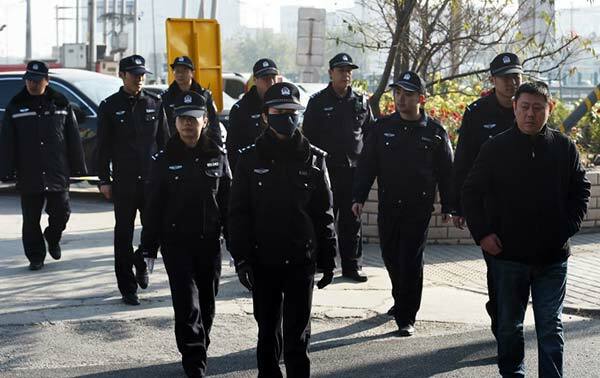 All the while she continued to write news reports and commentaries—including one, for example, predicting during a March 2012 radio interview senior security official Zhou Yongkang’s later arrest in what she described as a political purge. So it comes as no surprise that she was among those arrested a few weeks ahead of last year’s 25th anniversary of the Tiananmen Square crackdown. She disappeared in April 2014. The next month, state-run media confirmed that she had been arrested once again for “leaking state secrets” to overseas news media. Though the document in question has never been publicly identified, it is believed to have been an order issued after China’s current president Xi Jinping took power. Known as Document No. 9, the order urges draconian responses to “dangers” to China such as democracy, civil society, and an independent media. She later recanted her remarks, with her lawyer and family saying she had been coerced into a confession in order to protect her son, who had also been taken away by the police. He was released a month later. Speaking in her own defense at a four-hour trial on Nov. 21, 2014, Gao Yu denied leaking state secrets and reiterated that her “confession” video had been made against her will. Among her many client publications overseas, she has written for the German outlet Deutsche Welle's Chinese program. In her last article for Deutsche Welle before her April 2014 arrest, Gao underlined the significance of reform-oriented party chief Hu Yaobang, who was deposed in 1986. The Chinese government then proved her right by arresting her. “It's Not OK: Women struggling for human rights” is a series of portraits of Asian women caught in the struggle for human rights in their communities. It was produced by Radio Free Asia. Download the ePub, PDF or iBook versions.